Culinary Explorations: Creating Unique Ice Cream Flavours workshop encouraged its participants to beat the summer heat and create unique ice cream concoctions inspired by flavors found in #SAFneighbourhood and its spice, vegetable and fruit souqs. 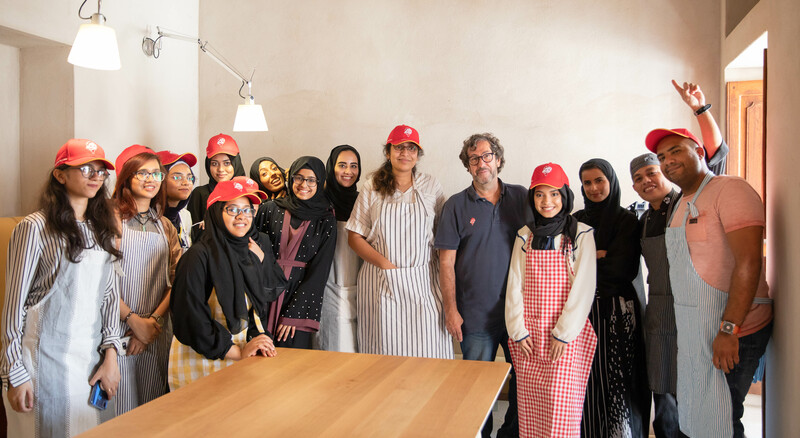 Creating Unique Ice Cream Flavours workshop, Sharjah, 2018. 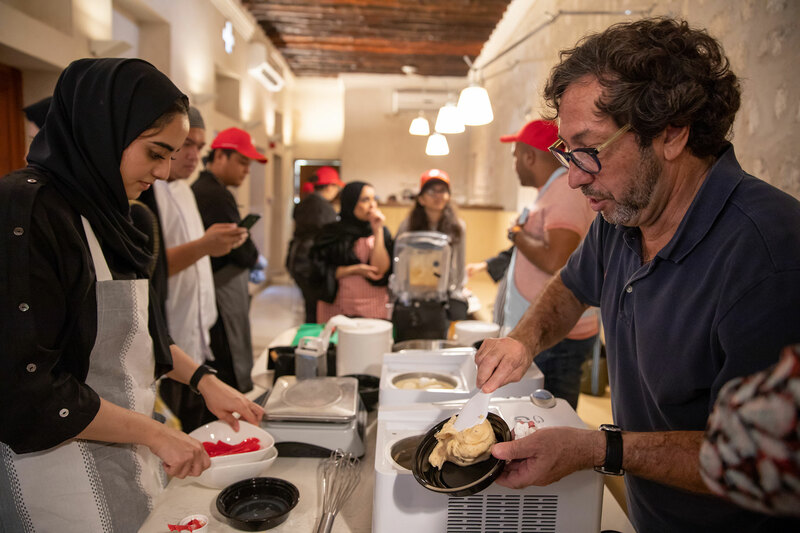 Culinary Explorations: Creating Unique Ice Cream Flavours, a workshop on 18 August 2018 that was organized by the Sharjah Art Foundation Community Program, encouraged its participants to beat the summer heat and create unique ice cream concoctions inspired by flavors found in #SAFneighbourhood and its spice, vegetable and fruit souqs. Hosted at Fen Café in collaboration with Jelly Belly Ice Cream, the workshop was conducted by Vasco Sousa, the mastermind chef and Chief Innovation Officer at Jelly Belly Ice Cream who has over 30 years of experience creating unique ice cream flavors under his belt. Vasco elaborated on some of the science behind creating ice cream, from determining appropriate ratios to creating the base and experimenting with ingredients. 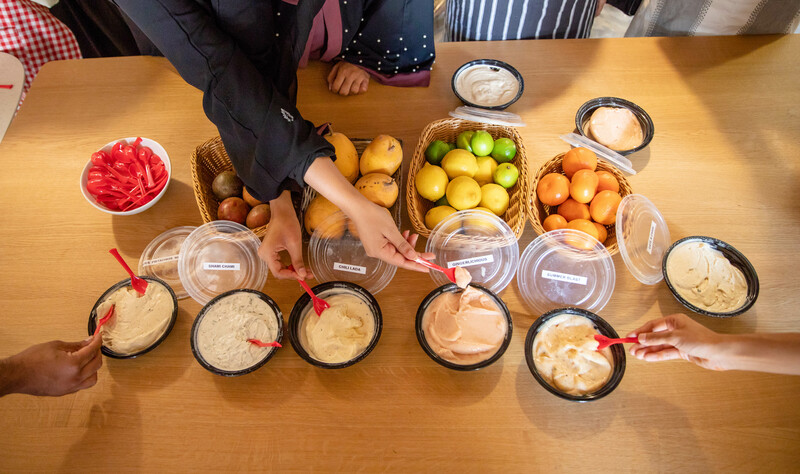 Participants were divided into three groups, which included some of Fen Café’s own staff, and incorporated different combinations of adventurous ingredients, such as spices, candies, fruits, vegetables and even vegan options, into their ice cream recipes. Laid out in a dedicated ‘market station’, ingredients included fresh fruits like figs, cantaloupes, peaches, lychees, dates, oranges, mangoes, limes, lemons and pineapples. 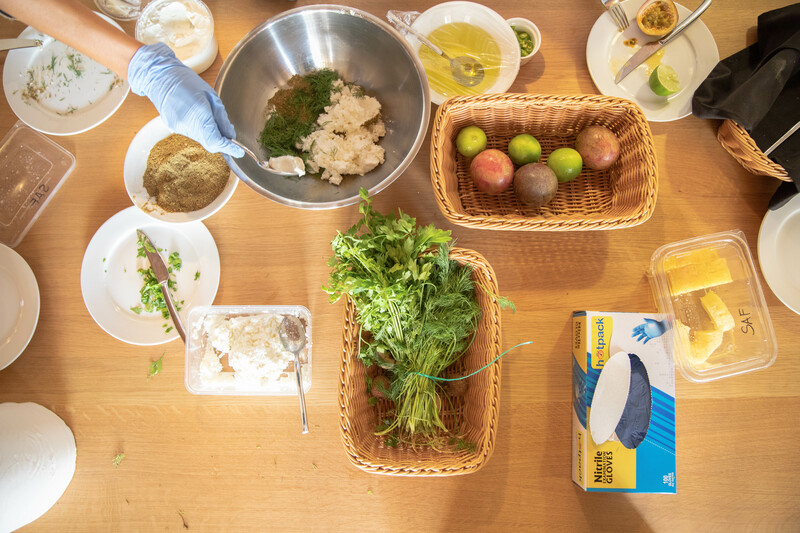 There were also other unconventional options such as fresh chami [a local cottage cheese], labneh and zaatar—along with nuts, herbs and spices like dill and coriander. Each group had to choose one of three bases: a premium creamy option, a vegan coconut-based option or a sorbet option. After choosing their bases, ingredients and flavour combinations, each group discussed their ideas and went to work under Sousa’s guidance. Artisanal Ice cream makers were available so that participants could create the perfect soft serve consistency. Seven never-before-seen ice cream flavors emerged from the participants’ efforts. The new concoctions included Chili Lada, a vegan pina colada ice cream enhanced with chili; Shami Chami, a unique savory ice cream combining the local flavors chami, labneh, dill and zaatar; and Date-a-Chami, a date and chami ice cream inspired by the local sweet and tangy snack. The workshop came to a sweet conclusion with a group taste testing and a vote to decide on the winning flavor. 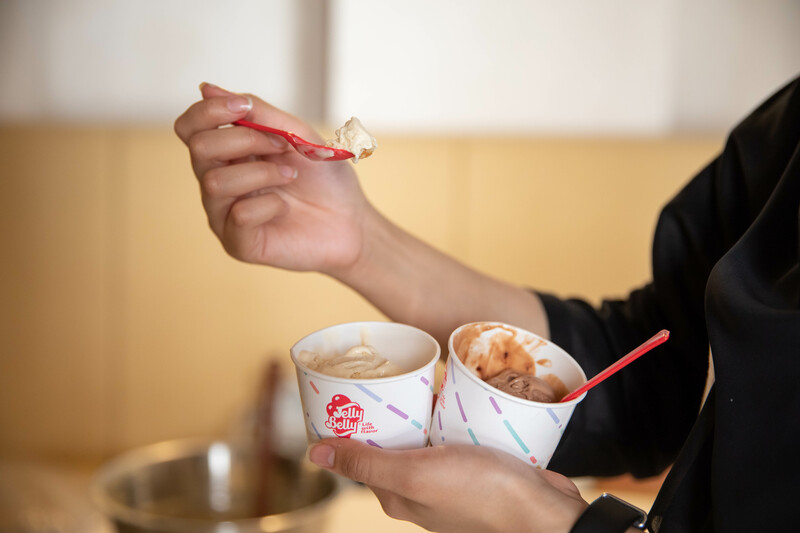 Participants also enjoyed tasting some of Jelly Belly’s gourmet ice cream flavors, such as Carrot Cake Ice cream and Pancakes maple syrup ice cream. Finally, participants packed up their ice cream and took it home to share with family and friends.